The Map Style tab allows you to set the style parameters for your map. The Invert Lightness parameter inverts the lightness contrast in your map. The Hue parameter allows you to adjust the hue of your map display. You can use hexadecimal color codes (e.g. #ff0000) to indicate the basic color. The Lightness (-100 to 100) parameter indicates the percentage change in brightness of the element. Negative values increase darkness (where -100 specifies black) while positive values increase brightness (where +100 specifies white). The Saturation (-100 to 100) parameter indicates the percentage change in intensity of the basic color to apply to the element. The Gamma (0 to 10) parameter indicates the percentage change in intensity of the basic color to apply to the element. Custom CSS allows you to customize CSS. For example, you could change placement of the map overlay or other specific styles as desired. Careful as this is an advanced feature and you should not use this unless you are a CSS expert and know the correct classes to modify. Map width and height parameters allow you to set the size of the map. By default, the map is set to 100% width and 316px height. NOTE: The map resize parameters only accept pixel values. We ♥ Yootheme - you will as well! 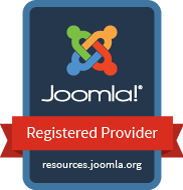 Joomla's most flexible and powerful content application builder for managing your websites content.